German custom parts manufacturer, Hornig, have released details of their latest project, a BMW G310GS. 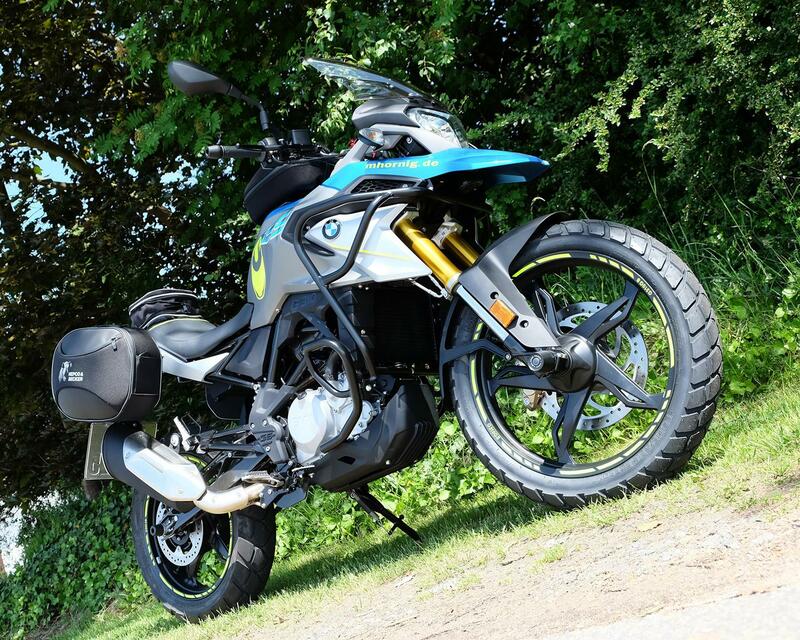 The bike follows much the same blueprint as their BMW R1200GS customisation, with upgrades focused on improving the long-range and off-road touring capabilities of the original machine. 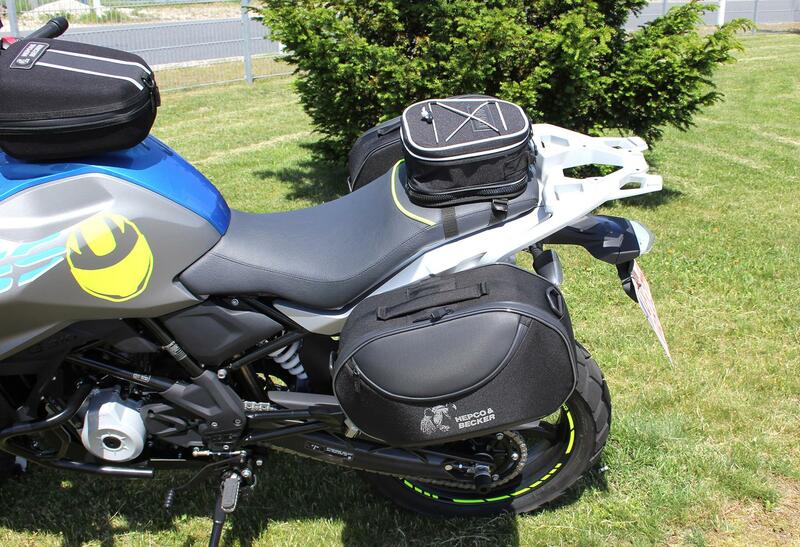 Storage space has been added in the form of a tank bag and panniers which are fixed by a special mounting kit, and a 3.5 litre tail bag. The side stand and brake pedal receive enlargements, both aimed at improving ease of use off-road. In the event of an off, the bike protects itself with crash pads on the rear swingarm and the front fork, and crash bars on the engine and fairing. On-road practicality is improved too, with mirror extensions, a tall touring screen, universal GPS mount and modified seat for greater comfort. 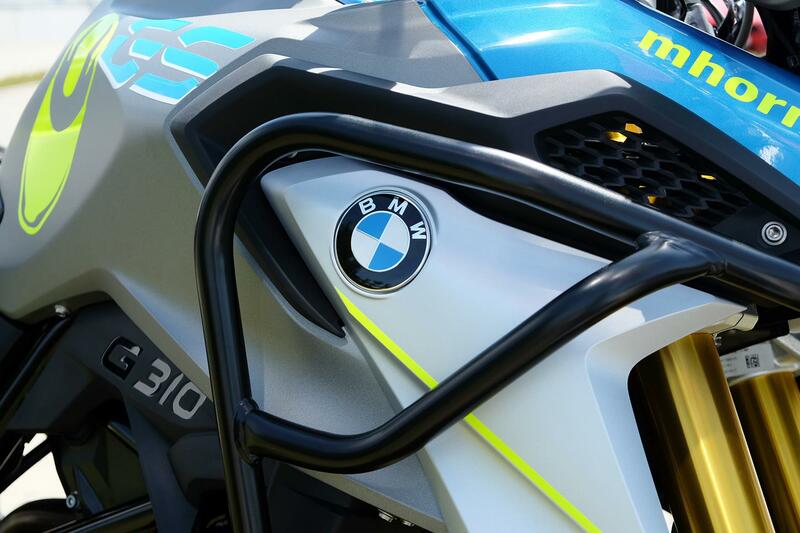 To finish off the project, Hornig have given the G310GS a stunning blue paintjob complete with neon yellow accents and a Hornig logo on the tank, and yellow accents on the seat and rims.  All the parts used in the project are available from the Hornig website.